Sixty-one years after the Chinese Communist Party annexed Tibet, the protest movement Lhakar and the Tibetan Youth Congress organized a march in a fresh move to preserve Tibetan culture and heritage. 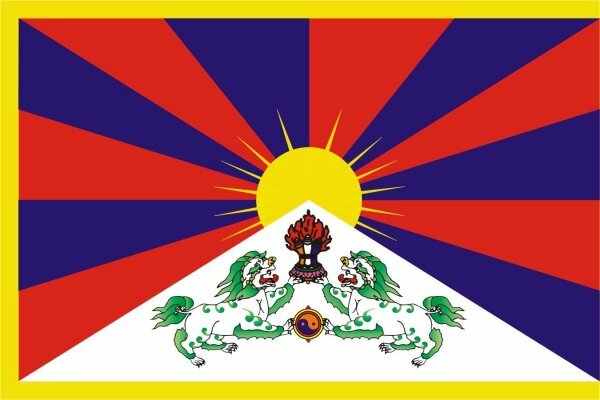 Today, the 23rd of May 2012, marks 61 years of Chinese occupation of Tibet. Since 2008, Wednesday is also the day of Lhakar Movement- a home grown cultural resistance movement which seeks to preserve Tibetan culture and heritage through personal pledges. On this account, the Tibetan Youth Congress (RTYC) organized a march in which the Tibetans in and around Mcleodganj demonstrated sporting ethnic Tibetan wear and carrying Tibetan flags. The march started at 10 am at the Dalai Lama Temple and the marchers demonstrated around the main square, on Temple Road and Jogiwara Road. It garnered much attention from tourists and locals alike, many of whom joined the march. The marchers protested against the Chinese occupation of Tibetan since 1951. They also voiced their dissent against the "17 point agreement" by which China forcibly annexed Tibet and then breached various parts of the agreement which was signed under duress by Tibetan delegates and is considered invalid by most international governments. Although this agreement promised the Dalai Lama's government that due respect would be paid to Tibetan culture, identity and the status of Tibetan leaders. Mao Zedong's army broke the agreement and devastated Tibet with a military invasion which resulted in His Holiness the Dalai Lama escaping into India seeking asylum along with 80,000 Tibetans. Twice, the Dalai Lama has repudiated the agreement: first on 26th March, 1951, from Lhuntse District, Southern Tibet and then again on 20th June 1951. It is this document that China is using today to make their territorial claim over India's state of Arunachal Pradesh. The marchers stressed on how important it was for Indians especially to protest against the 17 point agreement as Tibetan's independence would ensure India's security. The demonstration also wanted to highlight the Lashkar movement, a home grown self-reliance movement that started in the wake of the 2008 Tibetan Uprising (Chinese: 3.14 Riots). Every Wednesday, the soul day of His Holiness the Dalai Lama, Tibetans all around the world have taken pledges resolving to boycott Made-in-China products, to go vegetarian every Wednesday, to speak pure Tibetan, or to wear chuba etc. The term 'Lhakar', literally translated as "White Wednesdays", is widely regarded as a day to celebrate Tibetan religion and culture. After a short musical performance by Tamdin Tsering, awards were given to the best dressed male and female marchers. The Award for Best Dress Female went to Dawa Karmo while the Award for Best Dressed Male was shared by Phubu Tsering, Tashi Tsewang and Tamdin Tsering. The Award also included a cash prize of Rs. 1000.